Liquid flavorings are specialized chemicals used in food industry manufacturing processes. 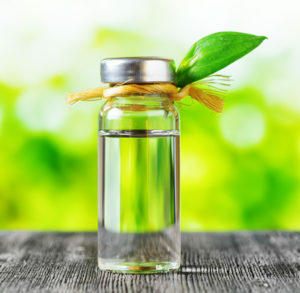 Natural flavorants are extracted from plants as essential oils, while synthetic flavorants are made from chemicals where alcohol, glycerol, propylene and glycol are used as solvents. Even though the food industry is not normally associated with fire risk and flammable substances, the solvents used in liquid flavorings are flammable and are therefore subject to strict regulations regarding usage and storage. A common method of storage and transportation of bulk volumes of liquid flavoring is the use of totes or Intermediate Bulk Containers (IBC). These tanks are economical because they can be cleaned and reused. IBCs are also known as pallet tanks as they fit on a pallet footprint and can be moved with a forklift. Their shape and size also makes them more compact to store than drums. Storage lockers must meet the flammable regulations in terms of fire resistant construction and distance from occupied buildings. Lockers with a fire rating of 2-hours can be stored 10 to 30 feet away while lockers with a 4-hour rating can be less than 10 feet or even inside the building. One of the risks associated with liquid flavoring is the release of vapors. This is a concern due to flammability, but also as an occupational health risk for employees. Storage lockers for liquid flavoring should be equipped with mechanical ventilation to ensure that harmful vapors are continuously purged from the unit. Fire suppression systems should also be installed so that any ignition is immediately extinguished thus preventing the risk of a fire spreading. A best practice for flammable liquid storage is to keep incompatible materials in separated compartments. This will prevent a spill of one chemical from reacting with another. Some chemicals need to be stored in a specific temperature range. If the temperature spikes too high, the vapor release from the chemicals creates a high risk of explosion. On the other hand, if the temperature drops too low, there is a risk of crystallization or mixing problems. Climate controlled flammable storage lockers are the ideal solution to meet regulatory requirements and keep the workplace safe. The National Fire Prevention Association (NFPA) have developed a code for flammable and combustible liquids. Detailed guidelines are laid out in terms of fire ratings of storage buildings and different classes of liquids. Other agencies use this code in the development of regulations which govern specific industries and applications. Contact US Chemical Storage to learn more about storage of flammable liquid flavoring or to receive a complimentary quote. Our professional consultants can advise you on the best solution for your application as well as the regulatory requirements that are relevant to your industry.